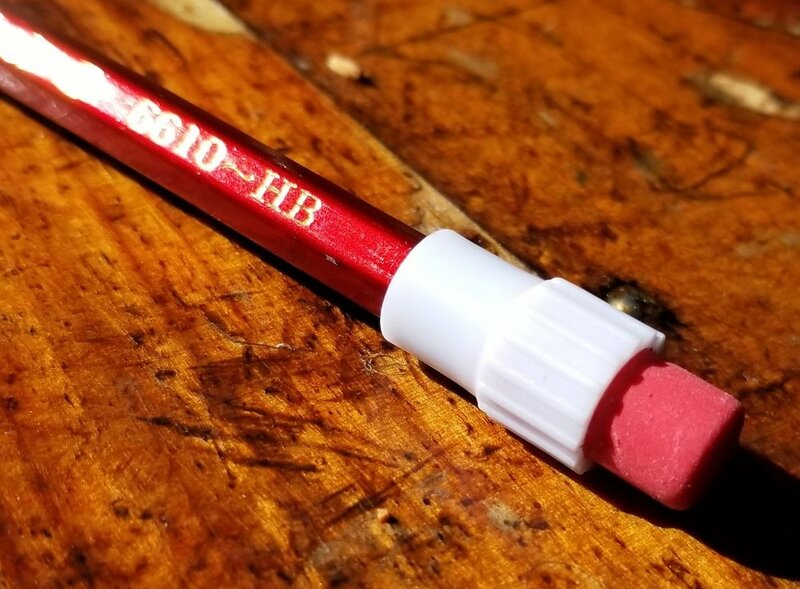 Chung Hwa 6610 HB — the weekly pencil. This week’s review is of a very unique-looking pencil. The Chung Hwa 6610 and its over-sized ferrule is reminiscent of American pencils of the 50s and early 60s. the Chung Hwa’s bright, sparkly red finish and gold foil stamping make this pencil stand out even more. The China First Pencil Company was founded in the 1930s and while they produce pencils for other brands, the Chung Hwa is their “in-house” brand. The Chung Hwa name is common in China— I guess it could be likened to how Ticonderoga is here in the states. Using the 6610 for the first time took some adjusting to. The weight of the over-sized eraser and ferrule made the pencil top heavy and I had to change the way I wrote a bit to keep things feeling a bit more balanced. I am sure this sensation will fade as I use and sharpen the pencil more. The first word that comes to mind when laying graphite to paper is smooth. In fact, smoother than I expected. I try to review all products with an open mind, but almost all of my experiences of Chinese pencils have been sub par and I expected more of the same. I tried this pencil on two brands of paper: Baron Fig’s Confidant and the Iron Curtain Press X CWPE collaboration notebook. Both results were great— no grittiness and slightly darker (to me) than HB laydown. The Confidant offered its usually toothy feedback while the ICP X CWPE provided a super smooth experience. The large chunky eraser and ferrule on this pencil is weighty— at least for me— but it works well. The eraser removes markings with ease and leaves an average amount of dust. One thing of note though: the eraser/ferrule just pops right off the top of the pencil with very little effort. This “feature” makes for some good “hack-hwa-ing” (see what I did there??). I like this pencil alot. My only gripe is how off-balanced it feels when you first start using it. Overall, it’s still worth picking up. You can find them over at CW Pencil Enterprise for $2 a pop.